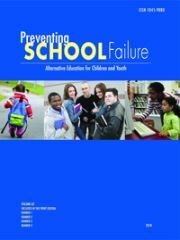 This study focuses on the implementation of an early warning indicator and intervention system in 20 southern high schools. This model included a team of teachers, counselors, and student support services personnel who analyzed ninth- grade student-level data and implemented and monitored interventions. The team was led by a half-time coach who established protocols for team operations and provided updated early warning indicator data. his study further demonstrates that higher levels of implementation of early warning and intervention components in the treatment schools were associated with improved levels of ninth-grade student attendance and course performance even after controlling for prior attendance.